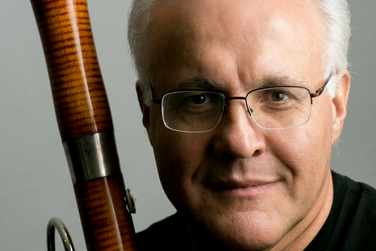 Introduced to the bassoon in the Massapequa, NY public schools, Frank Morelli studied with Stephen Maxym at the Manhattan School of Music and later became the first bassoonist to be awarded a doctorate by the Juilliard School. He has made nine appearances as soloist in New York’s Carnegie Hall playing concertos, Sinfonias concertantes, and even a solo ballad with the Carnegie Hall Jazz Band. The Miami Herald has hailed his "breathtaking virtuosity" and the Toronto Globe and Mail proclaimed his performance: "the kind of Mozart even the most tireless concertgoer is lucky to hear once a year."